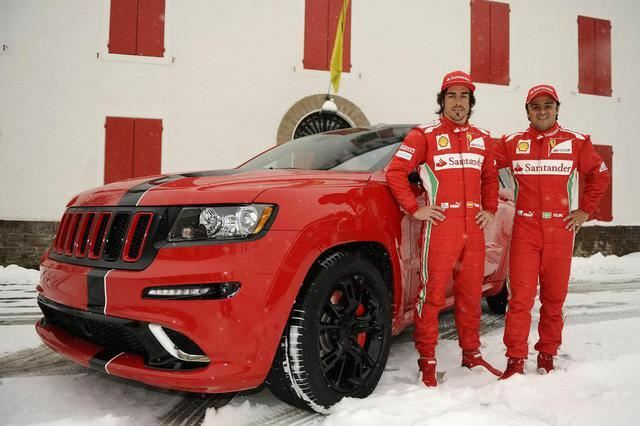 Snow at Ferrari's Maranello base - how do Massa and Alonso get around? 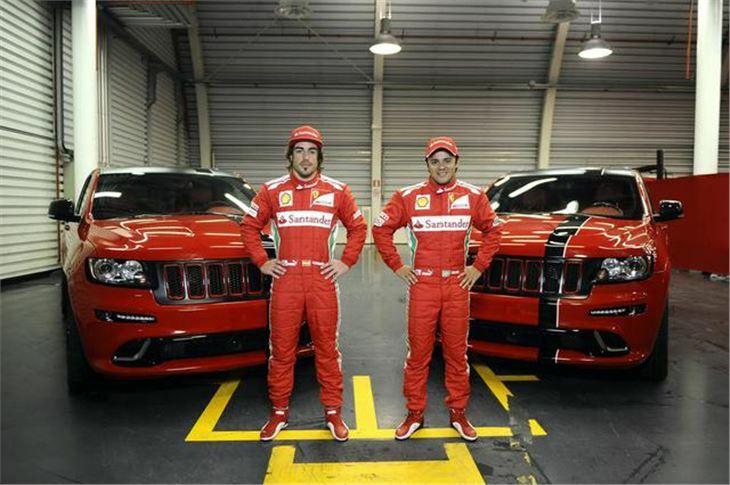 So how do Felipe Massa and Fernando Alonso get around Ferrari's Maranello base when there's thick snow on the ground? Simple - in a pair of customised Jeep Grand Cherokees. 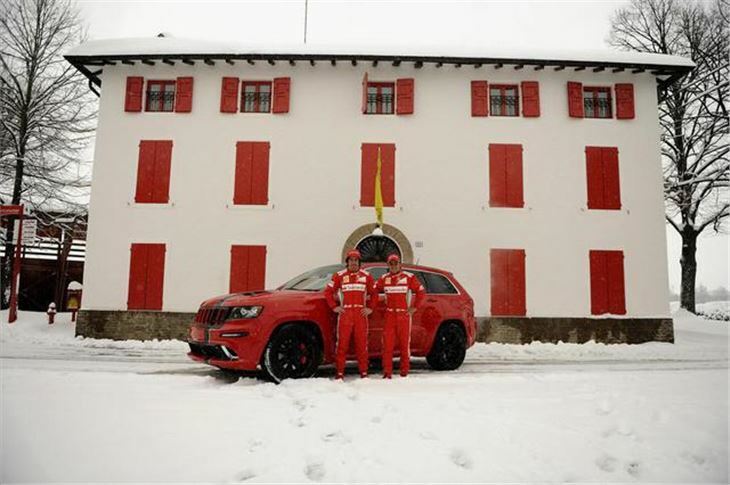 Snow called off yesterday's launch of this year's Formula One car, so the two drivers were instead showing off these Ferrari-styled SRT8 Grand Cherokees, which are the quickest and most powerful Jeeps ever built. It's all one happy family, as Ferrari and Jeep are both owned by Fiat. The cars have a special trim, bringing some exclusive styling details and the unmistakeable Rosso Corsa colour, which is a Ferrari trademark. The two Grand Cherokee SRT8 The Jeep Grand Cherokee are powered by a 6.4-litre Hemi V8 with 465-hp and 465 lb-ft of torque and has a 0-60 mph time of just 4.8 seconds and a top speed of 160-mph. It's due on sale on Europe this Summer.